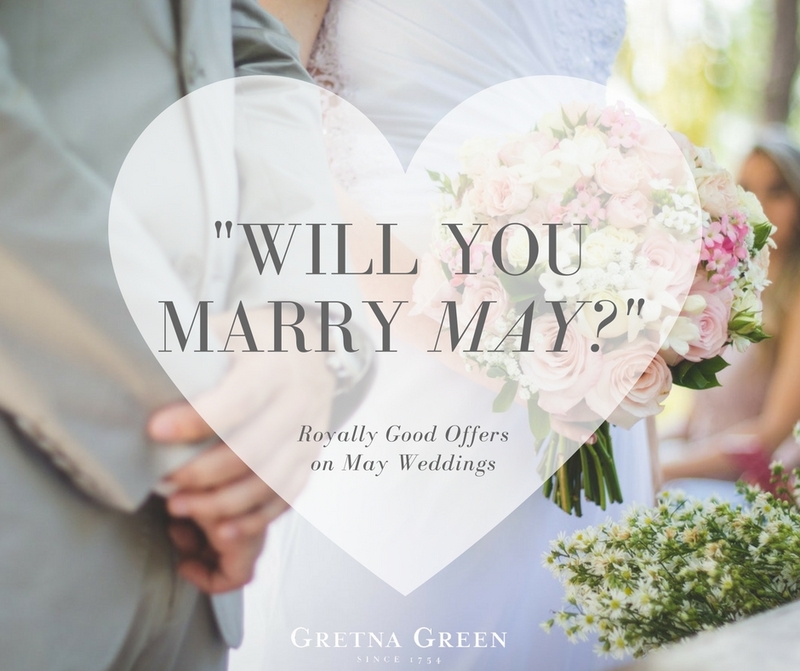 We're so excited for this year's Royal Wedding and, in celebration of Harry and Meghan's May 19th date, the team here at Gretna Green Famous Blacksmith Shop will be sharing the love over the month of May. 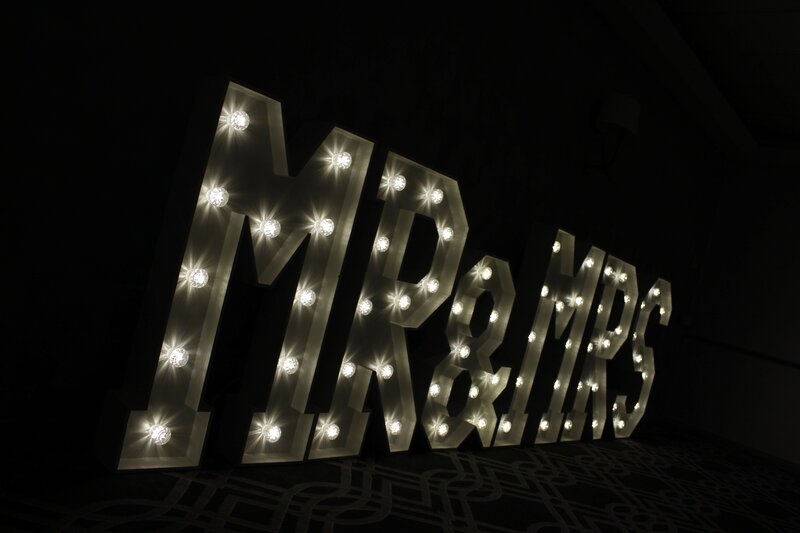 We've selected a series of dates on which all of our prospective Mr and Mrs's can enjoy special rates on venue hire! Would you like to follow in Harry and Megan's footsteps and tie the knot this May? 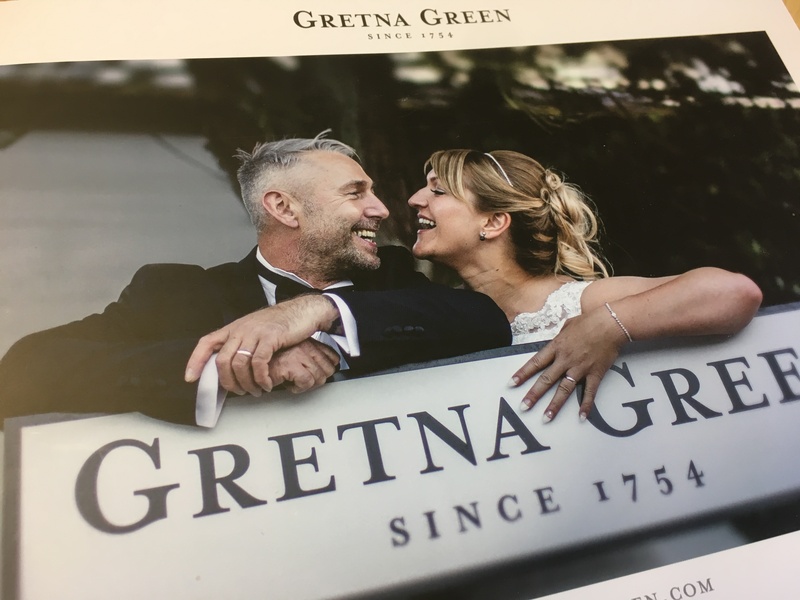 Well, we're giving you the chance to become part of the Gretna Green love story and join 260 years of romantic history - but you need to act quickly to secure your own May date. 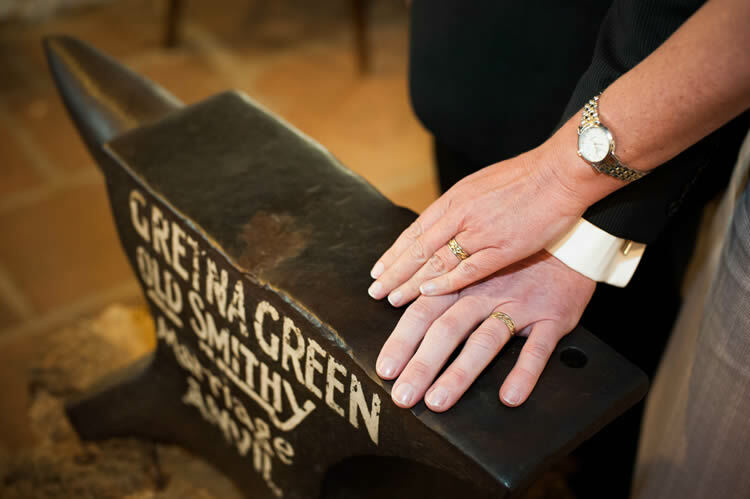 This April, recapture the romance of your wedding day by enjoying an intimate Anvil Blessing, at the Gretna Green Famous Blacksmiths Shop. Welcome to summer … or as it may also be known … wedding season! Whether you’re a regular wedding aficionado or never been, we know just how much of a challenge it can be to find that perfect wedding gift! Still searching? 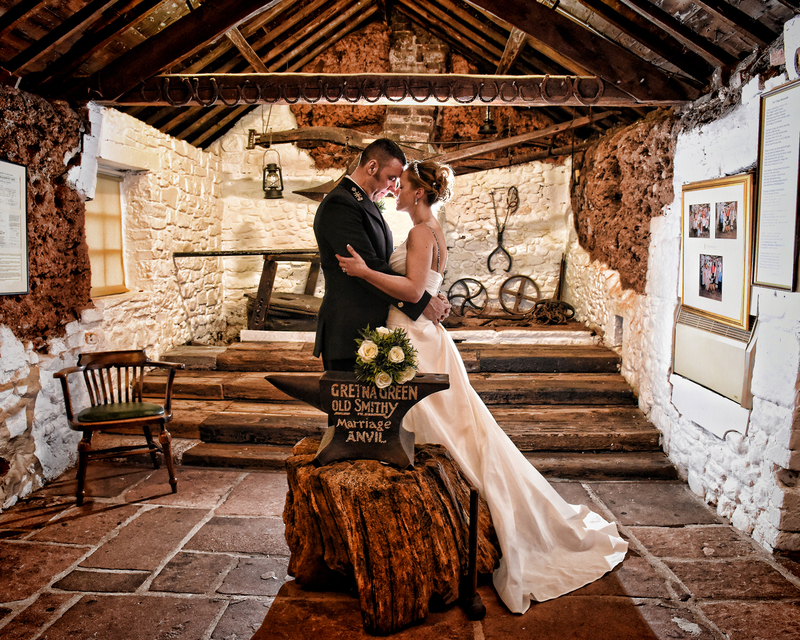 Let us help...we know a thing or two about love, romance and weddings here at the Famous Blacksmiths Shop! We've put together some of our favourite Scottish Wedding Gifts...our vast range of unique wedding gift ideas are ideal if you're looking for something that little bit different! Love is in the air at Gretna Green! Love hearts? Check. Lovelocks? Check. 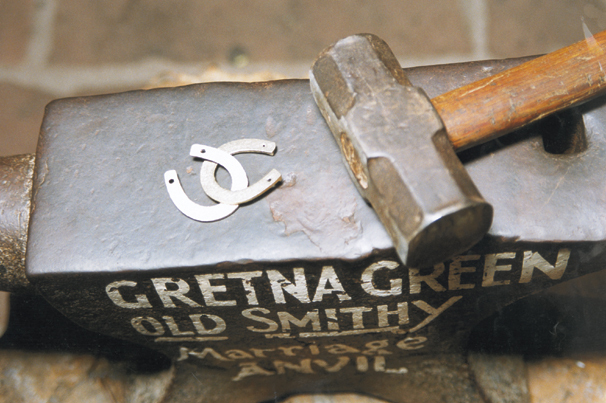 It's all go as we prepare to welcome Valentine's Day 2017 here at Gretna Green Famous Blacksmiths Shop. You may have heard through the grapevine that weddings and romance are slowing ... but fear not ... that's due to wedding numbers being down on last year/2015 due to Valentine's Day falling mid-week this year (always less popular than when it falls at the weekend). We can assure you that love is very much alive and well and in the air here at Gretna Green this Valentine's Day! Think of the word 'elope' and Gretna Green often springs to mind. For one, it's what made this wee place just over the Scottish border famous as young couples in love made the journey here determined to wed. 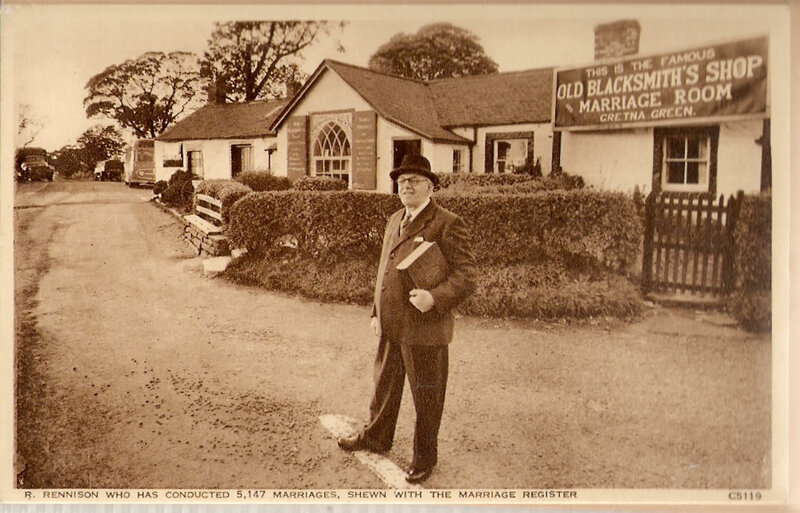 Although times have changed (and now a little more time and notice is required to complete the legal aspects), many couples still choose to 'elope' to Gretna Green. Modern elopements can vary from just the couple to a select, intimate group of friends and family. If a traditional wedding just not your thing, you may be looking for some tips or elopement ideas? We've gone to our team of expert wedding planners to share some of their favourite advice on 'eloping' to Gretna Green - 2016 style! As we're busy writing this, we're all reminiscing in the office about the weddings we've been to over the years! One thing that's always a talking point are the different wedding traditions often included simply because it's 'tradition'. But where did these come from? We were curious....so did a bit of digging and found a plethora of fascinating facts. 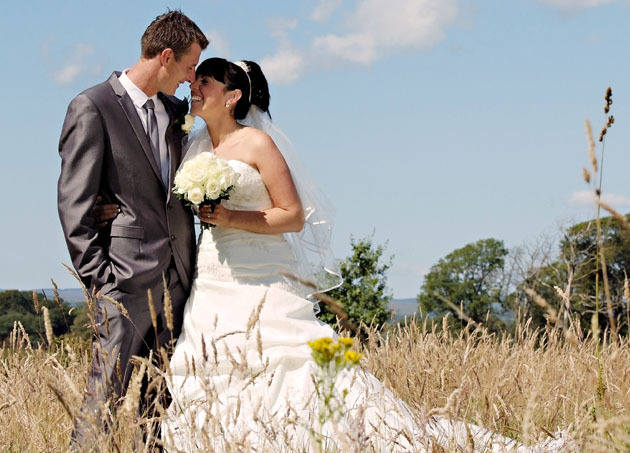 Here are some of our favourite wedding traditions....and their origins! Every couple wants to make their reception memorable - but it's sometimes hard to come up with "out-of-the-box" ideas! 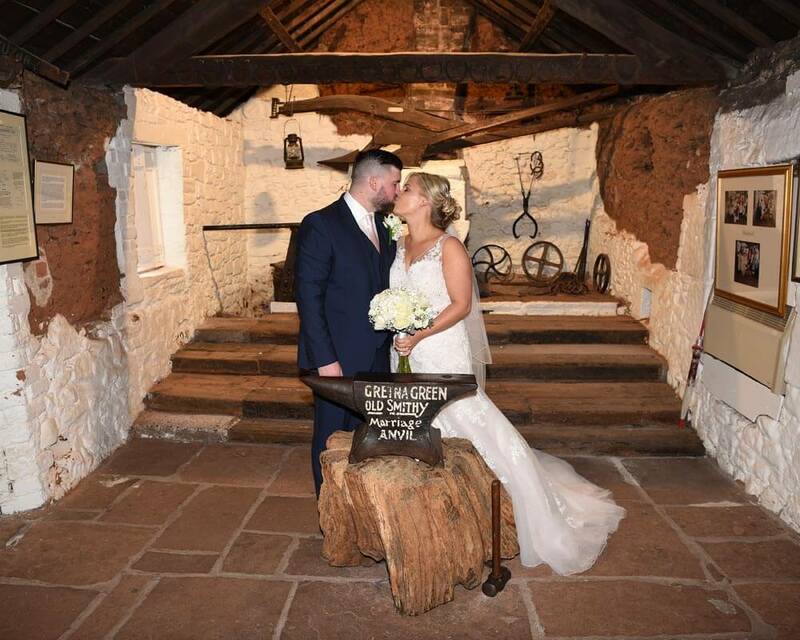 Here at Smiths Hotel and Gretna Green Famous Blacksmiths Shop, we've spotted a number of highly creative receptions set up whilst we've been popping to and fro recently. We thought we'd share these with you - could trigger a brainwave or two, don't you think? However, if you're already married and wish to surprise your spouse with a secret blessing......YOU CAN! One of our very own, Margaret Salaman, did just that to celebrate her 10th wedding anniversary! Awwwww! Just like Mags did, arranging a secret blessing can be the unexpected romantic gesture and a wonderful way of celebrating a special anniversary! 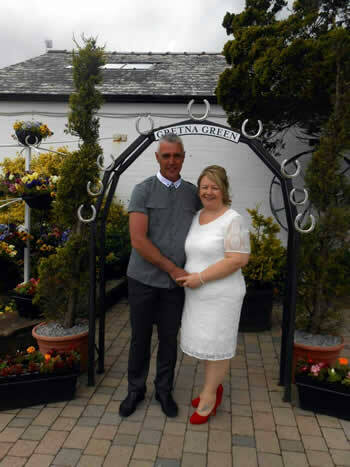 Is there a waiting list at Gretna Green? 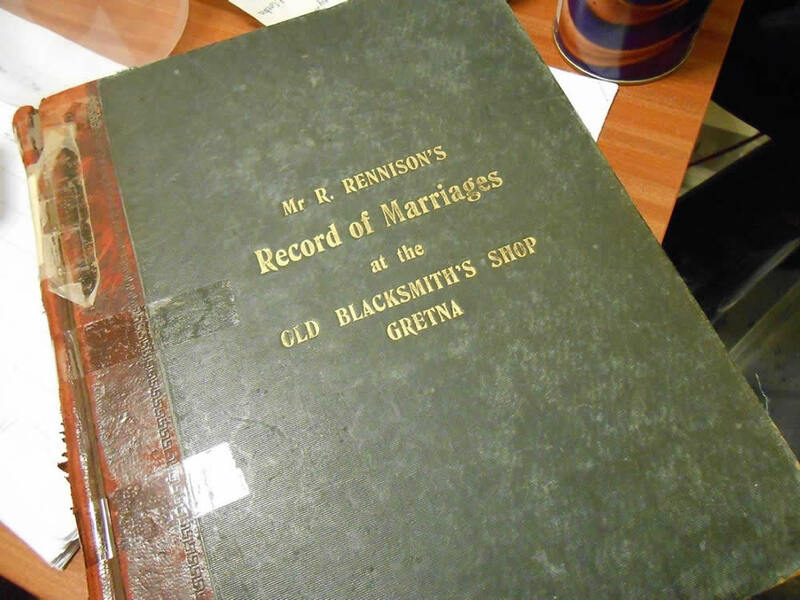 Quite a few of you wish to know what the waiting list for getting married at Gretna Green Famous Blacksmith Shop or Smiths Hotel is! With the arrival of 2014, the slate for wedding trends has undergone a few changes! 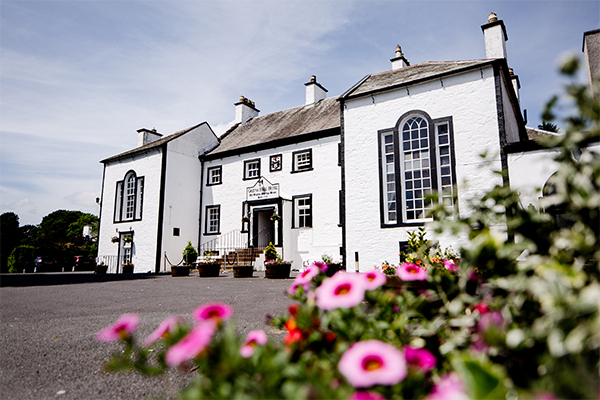 We've scoured various blogs and leading wedding magazines to see what seems to be vogue for 2014 weddings...... the settings at Gretna Green Famous Blacksmiths Shop and Smiths Hotel for your dream (and trendy) wedding! If you're anything like us, the timeline on your facebook or twitter newsfeed gained a certain trend over the holidays. You may have even posted the status yourself! 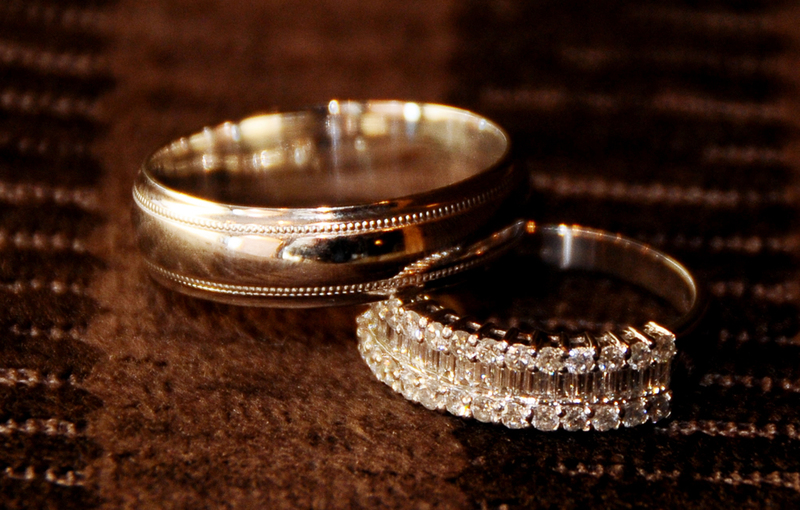 You guessed it - we're talking about engagements this past Christmas or New Years! First of all - congratulations! Then.........now what? Where does one even start planning? 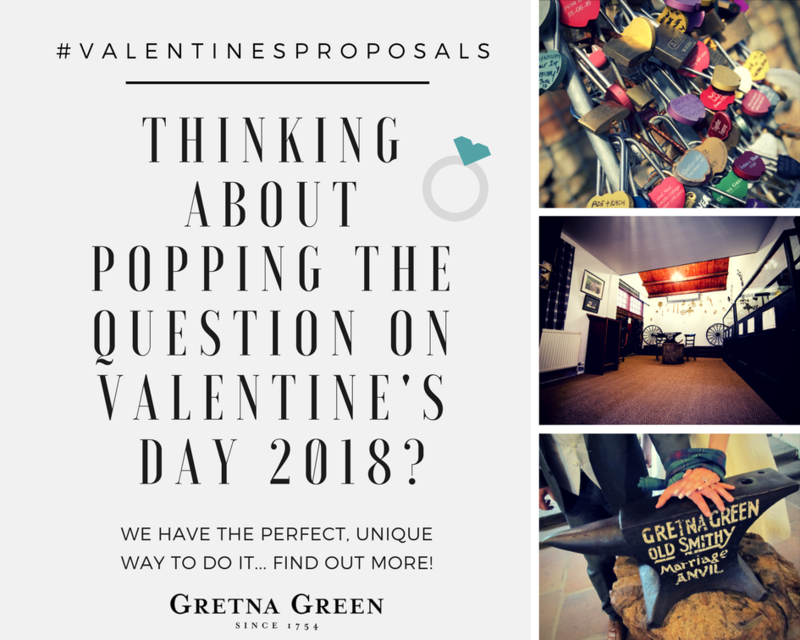 We thought we'd share a little of the collective wisdom gained from years of wedding planning here at Gretna Green to help .... after all, it's very easy to get yourself muddled with all the decisions to make from canapés to your menu to reception location or design! For this tradition we're going back as far as the 16th century to when King James VI of Scotland presented a Quaich to Anne of Denmark on their wedding. Quaichs are traditionally a silver or pewter cup which comes with two handles and is known as the 'loving cup' or the 'cup of friendship'. At a Scottish wedding, the tradition is to fill the Quaich with whisky and you will often find it used at the start of the ceremony, as a way to welcome friends and family! A couple would also drink from the Quaich as a symbol of trust and unity. Nowadays you may find couples making slight changes to the tradition. Perhaps your guests aren't partial to a dram, some brides nowadays are exchanging whisky for gin or bubbly (we'd still recommend the whisky, traditions and all that!) but whatever takes your fancy! Inexpensive Weddings...Yes...but not Cheap Weddings! Make sure you do your part in planning the wedding. Although your soon-to-be bride will often say that she is happy with taking charge of planning the wedding, chances are she will secretly appreciate you taking some things off her hands. Whether it be sending out the invitations, or helping with venue arrangements, this will all help to relieve some stress and mean you have more time to yourselves together. If you're hiring kilts or suits for your wedding party then be sure to have a practice dress rehearsal to avoid wardrobe malfunctions. This is not something that many men would think about but our wedding team has had to sort out quite a few mishaps in their time. You want to look your best on your wedding day so get up a little earlier on the day and leave yourself plenty time to get dressed. Trust us, it will be worth it! Check that all your guests have directions and transport to your wedding venue. 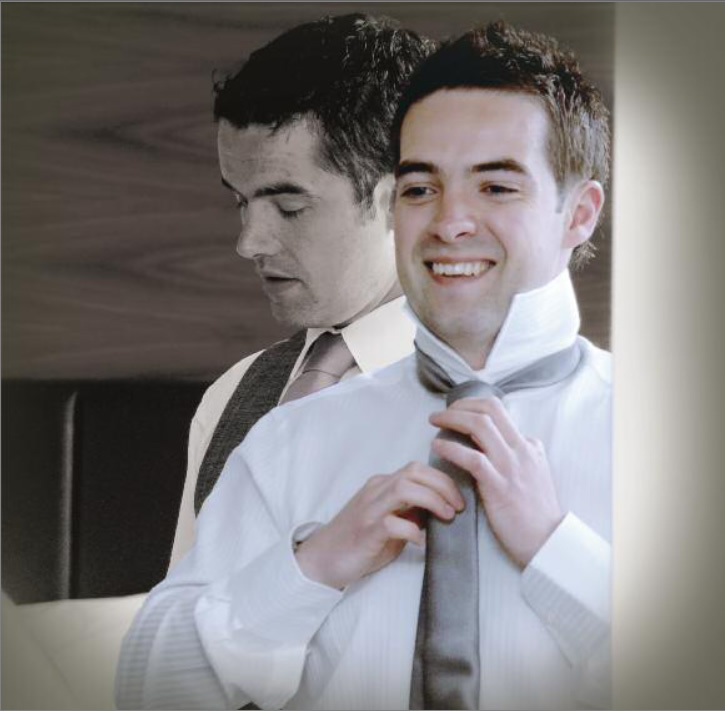 Choosing a sensible best man who can help with all these tasks is a must... Remember to make sure you and your best man are organised with directions too and get ushers to help with directions on the day also! Although many men may have had a Stag Party weeks or months in advance even, sometimes (mainly from pressure from the Best Man) a drink the night before your big day seems like a good idea... trust us, the hangover in the morning really isn't worth it! Especially when everyone will be looking at you and your bride for the whole day! So make sure your best man knows this in advance and have a nice relaxing night before your big day. Do a run through of your speech before the reception. If you are very good at speeches then by all means go to town with yours, but if you struggle with speaking in public then keep it short and sweet. If you're really not comfortable with the idea of public speaking then we would also recommend having the speeches before the wedding breakfast so that you can relax and enjoy your meal afterwards. This one is pretty obvious but will mean a lot to your bride! Last but not least... It's your day too so remember to enjoy it... You've done everything on your "to do list" and now you can relax and have a great day plus look forward to your honeymoon! For more advice on your wedding day with us here in Gretna Green, you can always speak to our team through our Live Chat feature or book an appointment to come see us on +44 1461 336001.